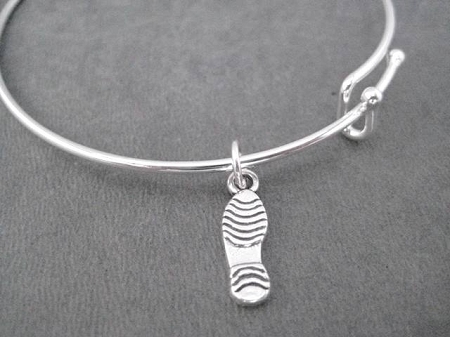 The Run Home's SHOE PRINT Expandable Bracelet features a 3/4 inch long Sterling Silver Flat Shoe Print Charm on a 63mm long 1.5mm thick Silver Plated wire expandable bracelet with 3mm ball ends. 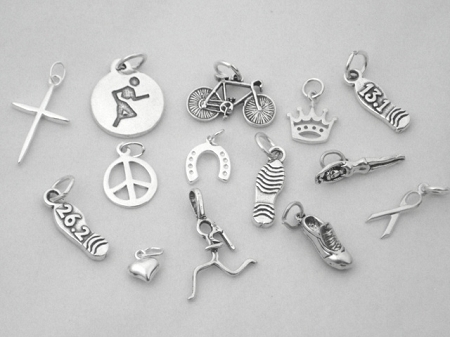 You can easily add charms to The Run Home's new Expandable Adjustable Bracelet! Simply pop the bracelet through the curved U shaped ball, add a charm and pinch the ball back a bit - not closed all the way - with your fingers! Simple! 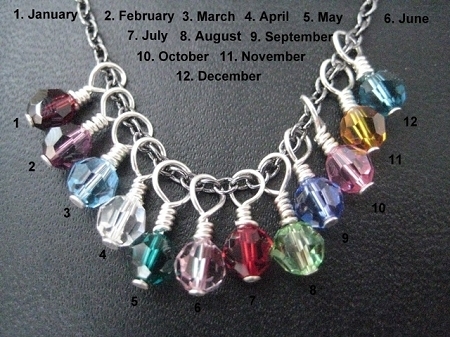 See Photo #3 for details! 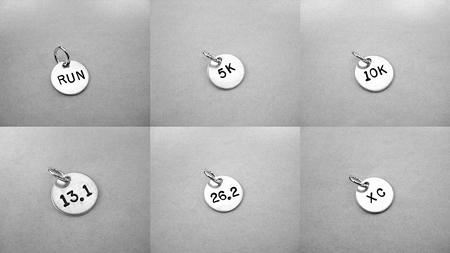 Choose to add a RUN or Distance charm or a Sterling Silver wrapped Swarovski Crystal or Pearl. Or Choose to Mix your Metals! 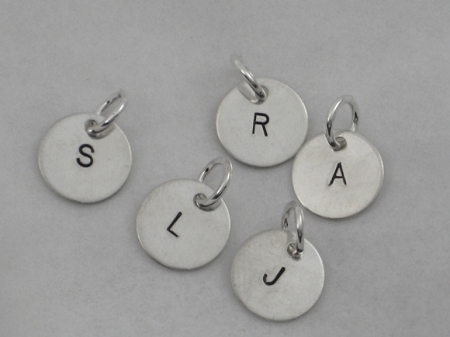 Choose a hand hammered nickel silver rectangle in the distance of your choice!